Sri Lanka Telecom PLC released its Group financial performance for the six months ending 30th June 2018, today. 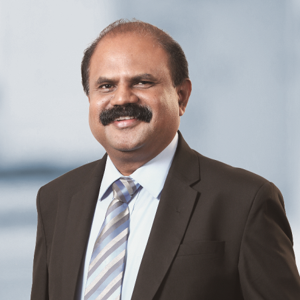 The Group, inclusive of the Holding Company comprises of 8 subsidiaries including the mobile arm Mobitel (Pvt) Ltd.
SLT Group continued its growth momentum across all key business areas including Fixed, Mobile, Broadband, Enterprise solutions, Wholesale and PayTV to record a consolidated revenue of Rs. 39.4 Bn for the first half of 2018, demonstrating a growth of 5.5 % Year-on-Year. The Group reported a Rs. 2.8 bn net profit during the 1st half of 2018 demonstrating a 13.5% growth compared to the same period in the previous year. The operating cost for the period is Rs. 27.2 bn with a lower year on year increase of 3.3%. Disciplined cost management and operational efficiencies together with revenue growth show the group EBITDA reaching Rs. 12.2 bn with an improved margin of 30.9% compared to 29.4% the year before. Noteworthy is that the Fibre-To-The-Home (FTTH) services which has shown very strong growth potential has almost doubled its revenues compared to the 1st half of 2017. During the period under review the group invested Rs. 10.8 bn for the acquisition of property, plant and equipment as well as intangible assets aimed at technology upgrades, infrastructure expansions, new connections, IT and system upgrades etc. In line with increasing investments the group depreciation increased by 10.2% to Rs. 9.1 bn. The group reported an Operating profit of Rs.3.1bn during the 1st half of 2018 and Profit before tax of Rs. 3.6 bn with a 12.9% and 16.2% year on year increase respectively. Group Chairman Mr. Kumarasinghe Sirisena was pleased with the positive results of the group. “This is the outcome of continuous tactical investments in all the strategic areas of the Group during the recent past. Our growth momentum is therefore very sustainable”, he said. “Being the Pioneer Telecommunications Service provider in Sri Lanka, the group strongly believes its contribution towards the economic development of the nation is a high priority in the Group’s objectives.” he said. The Holding Company – Sri Lanka Telecom PLC- reported a Rs. 1.0 bn net profit during the 1st half of 2018, showing an impressive 62.1% year on year growth. The improvements to the profits were largely driven by year on year revenue growth of 5.3% and managing of operating cost escalations at a lower level of 1.9% year on year. During the period under review the company reported Rs. 23.3 bn in revenue and Rs. 16.6 bn in operating cost. The Holding Company EBITDA margin improved to 28. 7% from 26.3% the previous year as a result of revenue increase and controlling of costs. Depreciation increased by 12.8% to Rs. 5.9 bn which tallies with the Rs. 6.8 bn investment in acquisition of property, plant and equipment and intangible assets. Profit before tax was reported at Rs. 1.3 bn with year on year growth of 63.2%. Mr. Kiththi Perera, CEO of the holding company stated that “Our journey of transforming the Company to a Digital Service Provider, anticipates transforming and strategically preparing ourselves to meet the challenges of the future. The high demand for FTTH, LTE, Fiber VPN and Cloud technologies has demonstrated the interest of people in moving towards an emerging Digital Culture.” he added. PEO TV, the fastest growing post paid Pay Television Service provider in the island recorded an impressive revenue growth of 18% during the first six months of 2018 compared to that of 2017 and the total Subscriber base grew by 29% during the same period. This was a result of aggressive sales drive and continuous enrichment of content portfolio by introducing the Education On Demand platform and premium international channels where PEO TV was able to establish itself as an innovative and content rich product with widespread acceptance by masses. Mobitel (Pvt) Ltd, the mobile arm of the Group continued to increase its revenue and key profitability indicators compared to the same period in the previous year. Revenue growth was achieved despite challenging macroeconomic and industry conditions during the period under review. The company revenue for the first six months of 2018 was Rs. 18.8 bn, which is an increase of 5% compared to the corresponding period in 2017. Backed by the growth in revenue which is an increase of close to Rs. 1 billion compared to the first half of 2017, Mobitel was able to record a growth in key profitability indicators. The company EBITDA and EBIT for the first half of 2018 increased by 5% and 3% respectively Year on Year. However reduced interest income resulted in a decline in net profit compared to the first half of 2017 to Rs 1.7 bn which is Rs 115 mn less than the first half of 2017. Thus in the first half of 2018 Mobitel achieved growth in all key parameters except Net Profit which was a result of reduction in interest income during the period.